A native of Southern California, Tiffany’s story is truly one of tragedy to triumph. After surviving a traumatic car accident at age fifteen that nearly left her paralyzed, and later, the diagnosis of Stage IV Non-Hodgkin’s Lymphoma and learning that her body could no longer filter toxins, Tiffany began to drastically change her lifestyle. Focused on rebuilding her life — physically, emotionally and mentally — Tiffany began her search for elements to help restore her body; what she discovered was simply remarkable. With the support of Dr. Jin Lee and in collaboration with an internationally respected cosmetic chemist and toxicologist, and adhering to the safe cosmetic guidelines used today, Tiffany’s Andersen’s toxin-free organic skincare line, Gavée Gold (JAH-vay Gold), was born. Within a few short months of launching Gavée Gold, the skincare line garnered the attention of CBS’ The Doctors, celebrity guru Kym Douglass on Hallmark Home and Family, and multiple publications, including the LA Times, Malibu Times, and the cover of Cosmetic World. Tiffany’s success has also attracted multiple industry leaders including doctors, clinical pharmacists, biochemists, and seasoned professionals who have successfully launched Fortune 500 companies. Tiffany’s success continues with her vegan bath and body line, Salts Alive. Tiffany was approached by the elite yoga/fitness studio franchise, TruFusion (voted 2016 Best Yoga Studio in Las Vegas by the Las Vegas Review Journal), to formulate an organic, vegan bath and body line using elements from her proprietary blend contained in the Gavée Gold Collection. Incorporating clinically proven ingredients which include organically extracted Mineral Cell Salts that have also been purified like a fine wine, much like the gold in the Gavée Gold Collection, Salts Alive was born. Salts Alive will be officially launched in the coming months. Tiffany has been blessed with a steady stream of miracles, which has led to the good fortune of discovering and gaining exclusive access to a vast cache of elements organically purified like a fine wine. It is Tiffany’s passion to share her discovery by introducing these unique therapeutic elements—metal free purified 24K liquid gold, mineral cell salts, and oxygenated omega oils—with truly exquisite high-performing skincare collections. 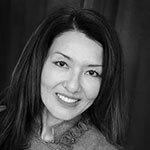 Tiffany has over 20 years of esthetic experience and holds California and National Esthetic Licenses. She earned her post-graduate certification through the American Institute of Esthetics (AIE) in Orange County, CA specializing in Skin Analysis, Advanced Chemical Peeling, Advanced Anti-Aging Techniques, Advanced Acne Treatments, and Rejuvenation Therapy. Tiffany is also a graduate of the highly acclaimed Rayner Institute, a Board-Certified Education Provider training facility. She completed the rigorous examination and course curriculum with scores in the top percentile. As a graduate of the Rayner Institute, Tiffany holds the distinction of “Certified Esthetic Clinician.” She is a certified technician for FotoFacial and IPL treatments.Rounding out her broad esthetic training, Tiffany is a Nationally Certified Permanent Cosmetic Artist who has been extensively trained by Susan Church, o-Founder, Past President, and Board Member of the Society of Permanent Cosmetics Professionals (SPCP) – of which Tiffany is also a member. Tiffany is one of the few permanent cosmetic artists in Las Vegas who has achieved higher certification through the Certified Permanent Cosmetic Professional (CPCP) program. Expanding her passion for anti-aging, Tiffany is a Nationally Certified Personal Trainer through the Aerobics & Fitness Association of America (AFAA) and a Certified Sports Medicine Professional through The American Board of Anti-Aging (A4M). She is a Certified Nutritional Consultant and as well as a Certified Herbalist in Traditional Chinese Medicine and Western Herbalism. Tiffany is a Certified Clinical Nutrition Response Tester through the “Harvard” of Nutrition Response Testing schools: Ulan Nutritional Systems. Tiffany has earned a Bachelor’s of Science in Holistic Health through the Global College of Natural Medicine. Tiffany is the former owner and operator of “Chateau la Beaute” day spa in California. Currently Tiffany works out of Renew Medical Spa for select few in Las Vegas Nevada, while continuing to launch her collection of skincare lines. As Tiffany has renewed and rebuilt her body from the inside out, she is excited to share what she has learned through her newly released Living Cancer Free, Naturally – Beauty Bible, available as a free download to all first-time customers for a limited time.